Imagine, you have opened the door of your rooftop and you have been attacked by wasps. Sounds scary, right? This can happen in real because wasps are fond of nectar. You have planted a garden on your rooftop and it is quite natural that wasps are bound to get fascinated to your garden. The reason is in summer season, there is lack of nectar outside. Therefore, wasps get in your indoor zone in search of having nectar from the flowers which are planted in your garden rooftop. You should not attempt of removing wasp nest using your skills, as the result can be drastic. If you try to spray some local wasp pesticides on the nests, then you will provoke wasps and you will get stings in return. 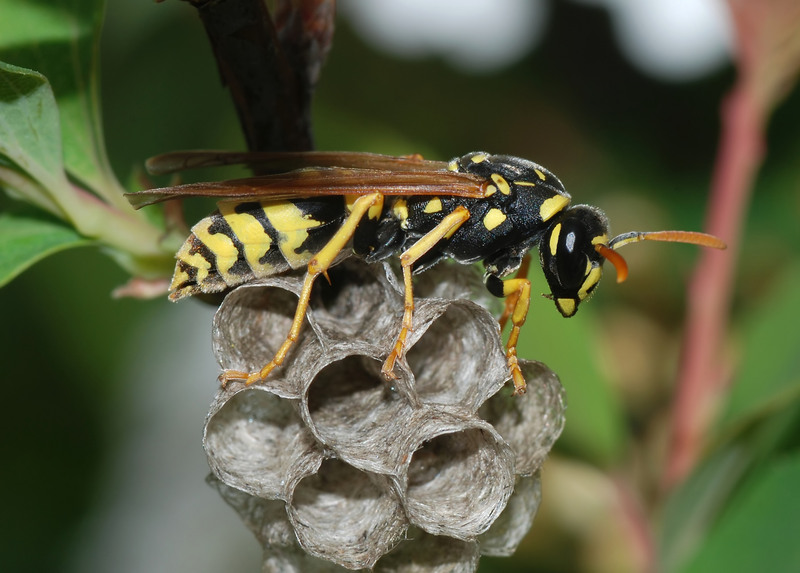 Removing wasp nests is a tricky job and so, you will have to depend on our wasp pest control Perth professionals. We have trained wasp exterminators who know the behavior of wasp species and will remove and exterminate wasp nests accordingly. There are not just one wasp specie which keeps hovering over your head. There are many wasp species which keep flying inside and outside your zones. You need to know which wasp species you happen to see in your territory. Knowing about a wasp specie will sort out many wasp-based issues automatically. The endless troubles caused by wasps species are paper wasps, ground wasps, red wasps, spider wasps, wood wasps, solitary wasps and social parasitic wasps. These are the wasp species which often found to be spotted in the area of Perth. Keep these measures in mind and follow them accordingly to keep wasps away. Cover the lids of dust bins as soon as you have dumped rubbish outside the large bins. Keeping lids of dust bins open will bring more wasps to make nests inside the bin. If any outer structures of your objects needs repairs, then you should get them fixed right on the spot. Do not keep bottles of perfumes, honey and lotions close to the reach of wasps. Your garden or lawn might have burrows and holes made by rodents. Check those holes and burrows and fit crumpled newspapers or mesh into the holes. Make sure the screens of doors and windows are in working conditions. Dump local pesticides and take up high-quality exclusionary measures of wasp control services from our pest control company. We will inspect every corner of your indoor and outdoor zones to expose the wasp nests. Then, we will spray the eco-friendly surface sprays and wasp repellents to remove the nest carefully from the infested sites. To make sure wasps never return your space, we will use wasp gels and baits on the present breeding sites and all places where wasps could make their nests.